People think cat-nip is harmless and they give it to their cats. When they do this, their cat can become addicted to it and not want anything else. One time a cat died from eating catnip. People use it so they don`t have to pay much attention to their cats. I like reading about cats because my family has a cat.I want to read about cats so i will know how to tell what my cat wants. Companies sell many toys for cats with catnip in them such as Wall-Mart and Petsmart. One day I hope people will not use cat-nip to drug up their cats. 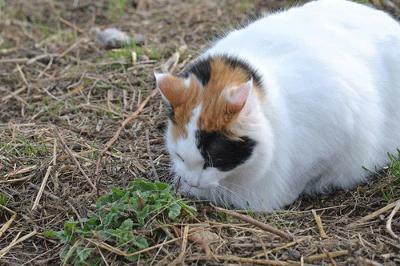 Who knows, since cats have this built in attraction to catnip just like a monarch to the milkweed plant, could there even be some kind of health benefit to them that we don't know about? Just my thoughts, though I wouldn't suggest anyone offer their indoor cats catnip everyday, once in while sure can't hurt. I think Bella is right about cat nip. I agree. I think bella may be a young girl, not an expert. Catnip is not poisonous to cats at all! Since the biginning of time cats have been attracted to the plant, and no cats will not become addicted. If you expose your cat to catnip too much they actually will lose intetest, catnip is an herb and not a recreational drug. Just because you hear stories about silly little kids trying to smoke it doesnt mean it will get you "stoned" and impair your judgement. 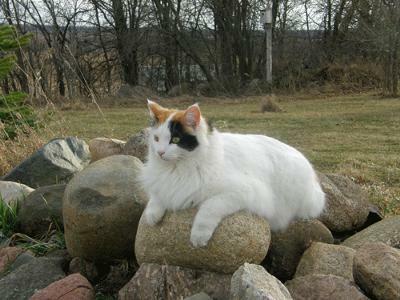 Enjoy the herbs benefits, and let your cat nibble it, God put it here for a reason. I just wrote about my cat Buddy and him almost dying from catnip. I just wanted to add my name here, in case you or anyone else answers my post. I am John Mitten, at John_Mittem@outlook.com Today is April 16, 2018. Thank you.